Powered by provocative characters and ongoing suspense, The Omega Oracle is an end-time’s thriller about an inspiring and dangerous journey across four continents to save the world. 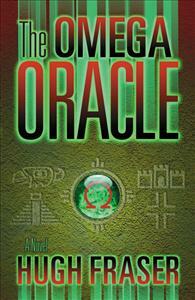 The Omega Oracle is a riveting adventure-thriller that takes the reader on a dangerous journey across four continents. A compassionate doctor, a gifted child, a resourceful university student, and a Magi of infinite wisdom must work as a dedicated team to discover forgotten maps and decode ancient symbols to prevent the unthinkable – the end of Mother Earth. Can their courage overcome the deadly forces pitted against them? In the final hours, with death coming from above and below the earth, Dr. Faith Roper and her child Sasha stand in the Four Corners of America, the last chance for humanity.